The world's largest mobile phone market has opened up to facilitate increased competition. China has approved a pilot scheme allowing private companies to piggy-back on the country's three dominant telecommunications providers to offer own-brand mobile services, opening the world's largest mobile phone market to increased competition. Authorities have approved 11 private "virtual carriers" to resell mobile telecommunications services, the Ministry of Industry and Information Technology (MIIT) said in a statement on its Web site on Thursday. The pilot opens up the market for privately run companies to offer discounts or more attractive deals, raising competition in a market dominated by state-owned enterprises China Mobile, China Telecom and China Unicom Hong Kong. China Mobile, which recently reached an agreement to sell Apple iPhone, dominates the domestic market with over 760 million subscribers. China Unicom and China Telecom trail with 280 million and 185 million users respectively. The 11 companies include Net.cn, a subsidiary of online retail giant Alibaba, rival e-commerce firm Jingdong and major Chinese mobile phone retailer D.Phone. 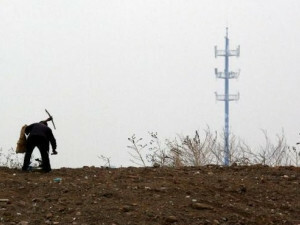 Shenzhen-listed Telling Telecommunication and Beijing Bewinner Communications also got the green light.